It has now been eight days since Lt. Joseph Gliniewicz was found mortally wounded in a remote field in far northwest suburban Fox Lake. But it appears police are no closer to a break in the case than they were one week ago. 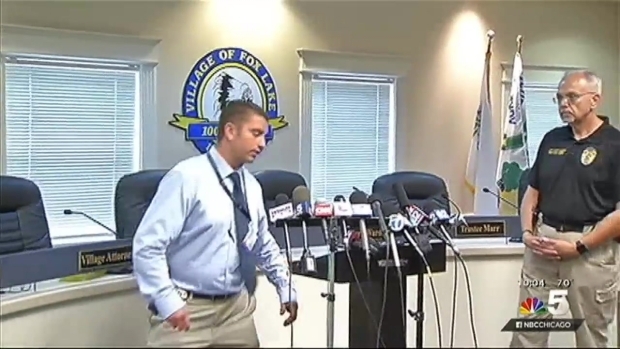 Indeed, there was a telling moment in a task force press conference Tuesday, where the chief of the Lake County Major Crimes Task Force, George Filenko, even corrected himself when he referred to the case as a murder investigation. “Officers responded to back him up, and they found him murdered—I’m sorry, killed,” Filenko said. Sources close to the investigation say police are still largely working with only one solid lead: Gliniewicz’s own declaration that he was pursuing three individuals, shortly before he was found. And Wednesday, Lake County Coroner Thomas Rudd said he needs more information from police, before he agrees to sign off on how the officer died. In other words, while Rudd knows what his own autopsy revealed, he still wants some evidence that another person, or persons, were involved. “I can’t issue a manner of death until law enforcement gives me everything they have,” he said. Rudd’s comments come a day after Filenko pointedly noted that he didn’t have a final autopsy report. 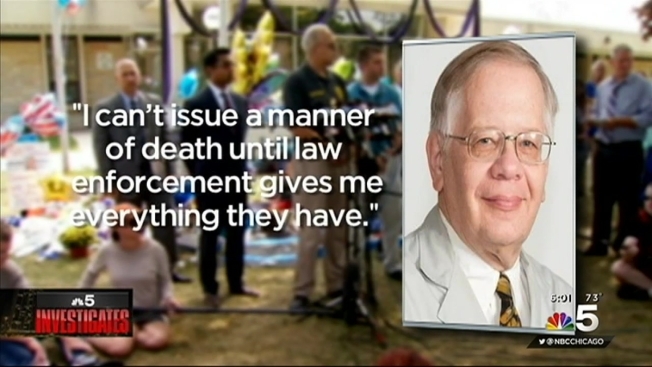 “Well, the coroner himself has not shared anything with us,” he said. That’s true, Rudd notes, because the report has not been written. But he quickly added that police are armed with everything he knows at this point. Three people questioned during the investigation into the fatal shooting of a veteran Fox Lake, Illinois, police officer have been ruled out as suspects. And now, he suggested, the key to issuing that report is in investigators’ hands, not his. “We have no eyewitnesses, in regard to this officer being hit by this bullet," he said. On Wednesday, Filenko acknowledged that he had task force members present, and said he did not disagree with Rudd’s assessment. There is much about the crime scene that has never been officially released. Rudd said he would not reveal officially how many times the officer had been shot, only that he died from a “single devastating gunshot wound,” and that he has not determined officially whether the officer was even shot at close range or from a distance. For now, he said, he has to keep an open mind, but the case is still a murder investigation. In the meantime, Filenko confirmed Wednesday that officers have yet to interview Gliniewicz’s family, a meeting they hope to set up within the next few days.